Flinders Island Car Hire is situated right near the main airport at Whitemark. 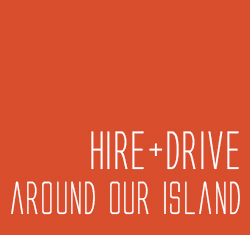 Our car hire clients are met at the airport, provided with a map and given ideas on what to do and see on the Island. To fully appreciate the attractions of Flinders Island - a hire car is essential. Mick and Marianne able to assist with suggested independent tour itineraries or guided tours around Flinders Island, and is a source of local knowledge for prime fishing spots, walking tracks, bird watching, and sightseeing.